So another year in the photography world has passed and it’s time for the Deutsche Borse Photography Prize once more. Of the four nominees, I would only consider two for the prize. However, something that strikes me is that many of the photographs are up to 40 years old, despite the £30,000 prize being awarded “…to an international photographer who is judged to have made the greatest contribution to photography over the previous year.” Consequently, I rule out Jacob Holdt, who was nominated for his 2007 publication United States 1970-1975. In the exhibition the gallery has curated his work as an automated slideshow in line with the four hour lecture slideshow Holdt made when he returned to Denmark at the end of the 1970s. I suppose therefore we should consider the captions in the leaflet available at the entrance to his space, but not read my most viewers, as integral to the work, but they don’t read as a lecture. The subject of Holdt’s work is the people he met hitchhiking around America, and usually lived with in wooden shacks, equivalent to caravans that gypsies live in. Hence they feel like old family photographs but highlight socio-political issues such as apartheid and interracial relationships, shootings in the street, homelessness and drug use. Sadly I find them difficult to engage with, probably partly because I wasn’t born then and don’t know what it’s like to live in such poor conditions. There seems to be little correlation between the images apart from the artist’s relationship with the subjects during his period of travel in the United States, a residency you might call it. Perhaps they are best exhibited in the United States where viewers will better understand the cultural background to the images, and with the performative element of the slideshow. Fazal Sheikh’s work doesn’t belong in the gallery presentation. It is too overly political and there are pages of writing to read about the context or content of the work, which isn’t terribly apparent in the photographs themselves. I suppose it could be classified as journalistic photography. Sheikh exposes Indians as being nearly as bad as the Chinese have reportedly been in the past, killing, aborting or abusing girls because they want boys for economic reasons, resulting in populations of 10:7 male:female split. This work seems to be the sort of images of abused children that a charity would commission to advertise in order to fundraise and to assert political pressure on governments. John Davies documents industrial landscapes in Britain with sense of the social interaction of the site historically, but again the images are all taken a while back. The below image shows a train on the railway line that carried large quantities of nuclear waste from Trawsfynydd power station to Sellafield on a daily basis. We can see that it passed extremely tightly between two houses here. Perhaps a house was demolished from a terrace to put the line through even. In his photograph of New Street Station, Birmingham (below), to the left of the central diamond shape roof, a separate track crosses another track and goes up onto the platform. I presume this is evidence of the print being constructed from multiple negatives to enable to capturing of the view and/or in order to limit the number of trains present in the station. As the busiest interchange station in the country, it is probably pretty rare to only have two trains present (to the right of the image). Anyhow, Davies manages to capture the beauty of quite ugly industrial architecture, posing the staggered height glass roofs symmetrically in the foreground with the crossroads in the mid-ground and the tallest building almost centrally in the background. Bowling Greens, Stockport annoys me that through the title of the piece (and the place) the work seems like it should be about the particular shades of green of the grass there, but Davies persists in using black and white. This does however give a sense of melancholia to the image, that the greens date to 1875 and may one day be gone, as with a number of his subjects including the reconstruction of New Street Station started in 2006, though the one photographed is not the original. Hence I would probably award the prize to Esko Männikkö. 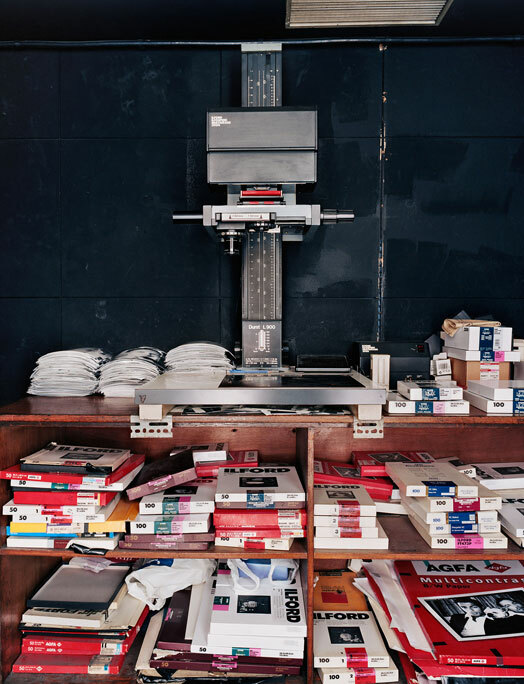 His work seems to be much more along the lines of installation art than straight photography. He presents a collection of large prints in old, worn, found frames, arranged in a line so that each frame touches its neighbours. It consequently seems to critique the display of art, somewhere between the tightly knit wall of the salon, where each work was only separated by its frame, and the modernist method of display with large amounts of white wall visible. The contents of these frames seem quite unconnected (they are from five series of photographs) but I can see reference to a wide variety of artists and styles in different images, which seem to come across in the works, further seeming to make a gallery installation. Per? 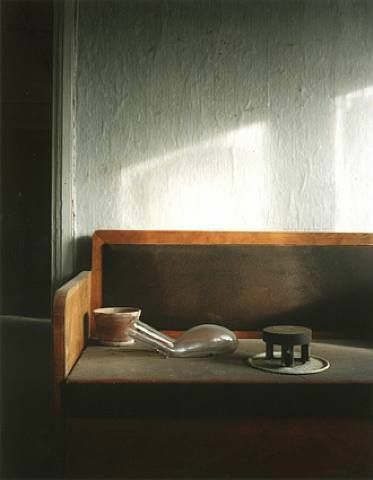 is very similar to work by Uta Barth and they may both reference Vermeer with the use of light. It captures a seemingly non-place, but has quite a specific arrangement of objects, perhaps remnants of the location being a squat? The wall coverings are old and peeling. Rapakivi? has a painterly feel and the performative randomness of where the egg yolk has been distributed makes me think of Jackson Pollock and the abstract expressionists. Alvar makes me think of Richard Wentworth’s Making Do and Getting By series of makeshift constructions. Kuhmo poses the rough, rural man as a fashion model, showing off his clothes and especially his shoes so that only the broken belt, braces and the concrete jetty being broken suggest otherwise to it being a fashion magazine image. The exhibition is on at 5 & 8 Great Newport St. until 6th April 2008, Free.